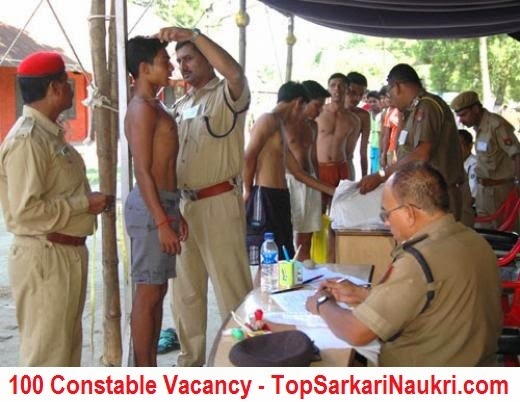 Puducherry Police invites eligible candidates for the recruitment of constable post to fill 100 vacancies. All job aspirants are required to apply on or before 24/12/2014. Education Qualification: Candidates should have done 12th Pass / HSC or its equivalent qualification from a recognized university. For Post wise qualification please read the original detailed notification. Link is given below. Age Criteria: Candidates age should be between 18 – 22 Years. Age relaxations will be applicable as per the rules mentioned in the advertisement. For Post wise qualification please read the original detailed notification. Pay Scale: Rs. 5200 – 20200/- With 2000/- Grade Pay . Last Date to Apply: Last Date for Registration is 24th December 2014. How To Apply: Interested Candidates need to fill the online application through official website.